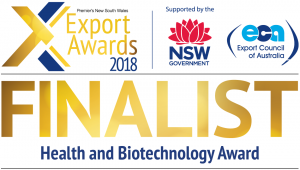 HPIs international branch network TAHPI is a finalist in the Health and Biotechnology category for the NSW Premiers Export Awards 2018. The Premier’s NSW Export Awards is an annual program which aims to recognise excellence in the export of goods and services by NSW business. The Awards acknowledge the important contribution of businesses to the economy through job creation and increased prosperity for the community and for the state. TAHPI was nominated for delivering innovative health planning, software, and design solutions to public and private providers of patient care, from inception through to commissioning, as well as optimisation of business processes and plans for operational services. These solutions range from the creation of efficient and sustainable facilities, to strategic plans for systems and corporations, to working models for the management of international health assets. Collectively, HPI and TAHPI (HPI’s International Branch) are the authors of many industry-recognised Health Facility Standards and Design Guidelines, developed on behalf of various health authorities around the world and delivered in a comprehensive digital package as 3D Designs, Databases, and HFBS Software to appropriately utilise the guidelines. HPI/TAHPI published and annually update the International Health Facility Guidelines (iHFG), the Standard Design Components of the new Australasian Health Facility Guidelines (AHFG), and the Health Facility Guidelines for the Health Authority of Abu Dhabi (HAAD); now mandatory for all healthcare facilities within the Emirate. TAHPI has been nominated for the development of the international web-based software platform known as the Health Facility Briefing System (HFBS). This powerful suite of over 20 applications is used for statistical service planning, big data analysis for health systems, health facility design, project document management, human resource scheduling, budgeting recurrent cost modelling and architectural design support tools. TAHPI provide multiple international Government Health Authorities Health Planning Software Suites based on the HFBS software Service Planning Suite to undertake health system capacity planning and inform policies in private investment and service coverage and provision. These tools are now also in the process of being installed and customised for multiple additional Government Health Authorities across the world within the coming year. TAHPI will be represented at the Premier’s NSW Export Awards 2018 by Matthew Brunsdon – Head of Information Technology, Christopher Hayward Brown – Head of Architecture, and James Brown – Health Planning and Strategy Consultant. TAHPI congratulates all other nominees and looks forward to the awards presentation ceremony.